Jamal Crawford: Lucky or Golden? 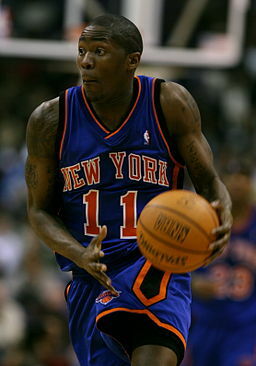 Jamal Crawford is still a free agent, as hard as that is to believe! He’s been in the league since 2000 and he’s still looking for a ring. Jamal is a baller, he scores easily and is a solid three point shooter. What teams are a great fit for Jamal Crawford? The Celtics are stacked, but every team needs shooters. Jamal Crawford can come in and drain corner three’s. Kyrie Irving can easily setup Crawford for open looks off of back screens. Jamal can bolster the offensive firepower of the second unit by creating his own shot off the dribble. Boston’s second unit struggled to score after Kyrie Irving sat due to injury last season. Jamal Crawford can put points on the board, just give him the ball and let him go to work. The Celtics won’t need heroics from Crawford often, but having him as an option wouldn’t hurt. Utah likes to pass the ball around more than some teams, but there’s no reason Jamal Crawford couldn’t help the Jazz. Jamal can get open looks when teams double team Rudy Gobert, cut in for layups and play the pick and pop game. Joe Johnson played with the Jazz and he likes to have the ball in his hands, just like Jamal Crawford. While Utah may not be the best fit, they definitely could offer Jamal a chance to compete. At this point in his career that’s likely his top priority! The Lakers definitely have the money to bring on Jamal Crawford. LeBron commands tons of defensive attention so his teammates always get open shots. Jamal is money and he’s got great range as a shooter, but can the Lakers compete for a title next season? Jamal is likely wondering that, just like everyone else! LeBron catapults the team back into relevancy, but how far can he take LA? What’s clear is that Jamal Crawford will come in and contribute somewhere next season. He’s experienced, a proven scorer and committed to winning. The Celtics seem like a perfect fit and they do say the grass is always greener on the other side. Maybe luck will be with Jamal Crawford this time!